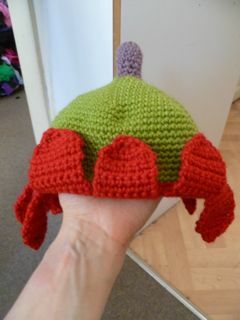 I made this for a friend’s baby. It is based on the hat worn by the Double Daisy flower fairy. 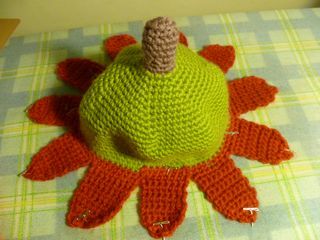 It is for a child approximately a year old? To be honest, I don’t know much about babies and how big their heads are. This pattern uses a 4mm hook and 8 ply wool (although I used 12 ply because I had some super fancy 12 ply lying around just begging to be used). It is written in American crochet notation. 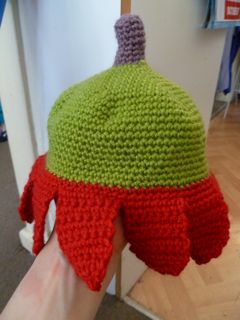 Block the petals and then sew the tips of three of them to the body of the beanie so they don’t get in the baby’s eyes.